Natural oils are currently so popular that you probably already tried hair oil treatment. It is also possible that you already have your favourite hair oil. However, if you still look for or just think of trying hair nourishment with oils – try oil, that breaks the popularity records in all Asian countries. Saffron oil – because it is the one we take about – is well-known for ages, and not only as a healing product. Long time ago, the right to cultivate saffron had only the Pharaoh. It is an exclusive seasoning, so oil obtained out of it is a marvellous and prestigious substance – a beauty elixir. 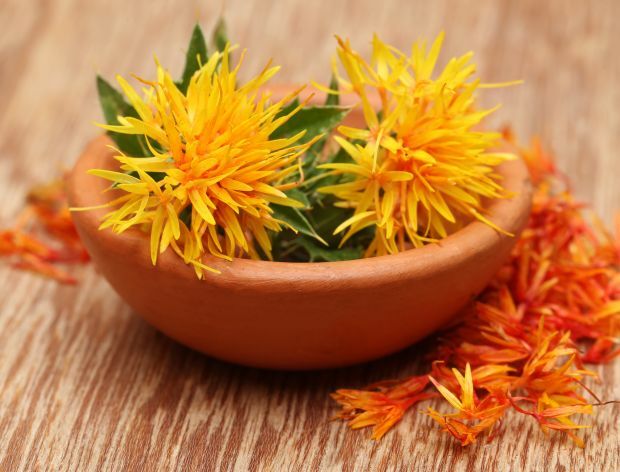 Due to high concentration of linoleic acid (omega-6), saffron oil regenerates even very dry hair with high porosity. Large, non-penetrating particles of polyunsaturated fatty acids perfectly match extremely raised cuticles of the damaged hair, while creating delicate protective film on the surface. It will protect strands against damages against all unfavourable factors, like toxins and pollution. Saffron oil has high concentration of linoleic acid (about 80%), what makes it stand out among oils for high porosity. Saffron oil is valued by women, because it is able to regulate feminine hormonal economy and improve work of sebaceous glands on the scalp surface. This stops oily scalp, which suffered from lack of hydration and water loss. Clean, healthy scalp can grow beautiful, healthy and strong hair. If you care about healthy scalp, regenerated hair bulbs and strong, beautiful hair, which will stun you with gloss, stop break and become soft in touch – try saffron oil.